You may receive updates from AFT 2121, the sponsor of this letter campaign. Keep City College FREE for San Franciscans! The landmark Free City College pilot project has been wildly successful. Unfortunately, the funding for Free City is still set to expire in June 2019, which means that students enrolling in Summer 2019 or Fall 2019 will not have free tuition unless we act now! Supervisor Jane Kim has proposed a City Charter amendment that could fund and stabilize Free City College for 10 years, but she needs our support to get it passed! 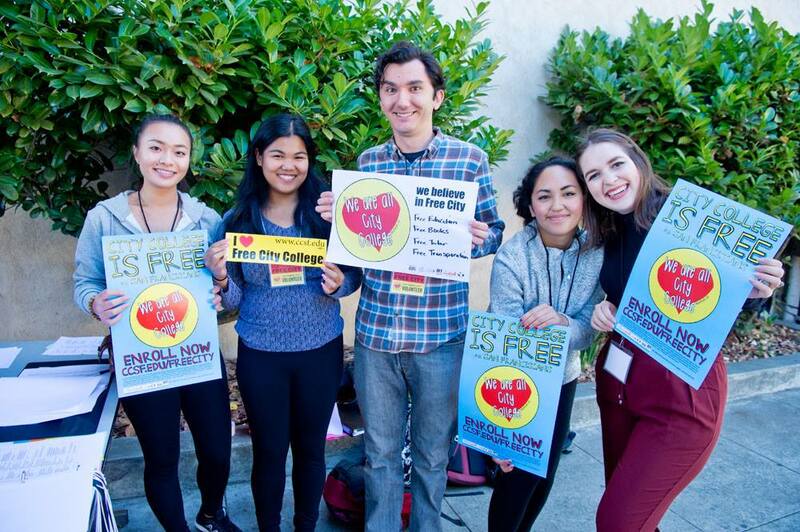 In 2016 A broad-based coalition of student, labor and community organizations worked with City leaders to establish Free City College, making San Francisco's community college free again—like it was before 1984. In response, San Francisco voters passed a tax on the sale of luxury buildings to fund Free City College. Now we need to be sure that promise is kept. Covers enrollment fees for San Francisco residents eligible for in-state tuition. Gives our lowest income students already receiving tuition aid more support to offset educational costs like textbooks and transportation. Serves a diverse range of students and expands access to higher education for everyone—high school students, traditional college-age students, their moms and grand-moms! Expands the school-to-college pipeline (not the school-to-prison pipeline). CCSF is an important part of the San Francisco economy, and educating our present and future residents is a public responsibility—we must fulfill our promise to the people of our city! Send an email message to our Board of Supervisors by completing the information box on this page. Let's tell San Francisco's elected leaders: WE NEED TO KEEP CITY COLLEGE FREE! If Free City has already helped you succeed, share your story. In the spirit of the holiday season, add a personal comment about why you are thankful for Free City.